News for Yorkshire and Lincolnshire and how to nominate someone for a BBC Sports Unsung Hero award 2010. Sport needs heroes, and behind every one of them is an unsung hero. Someone who cuts the grass, coaches the team, cleans the changing rooms, runs the clubhouse, does the admin, in short everything sport in needs to keep it thriving. 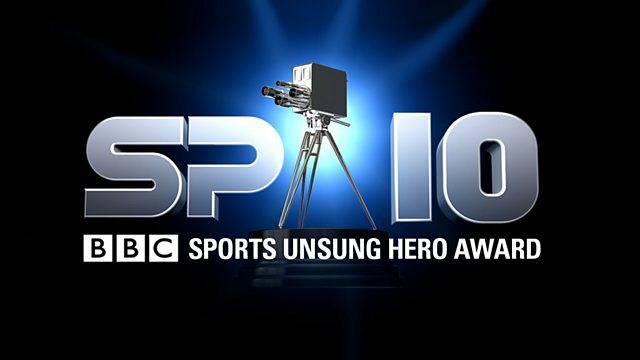 The BBC's Sports Unsung Hero Award, now in its eighth year, seeks to reward those who dedicate their life to sport in their local areas. Many of our past winners have achieved incredible results against the odds. They've built swimming pools from scratch, created inner city sports clubs, helping disability sport grow, things that add real value to their communities as well as fostering sporting talent and success. We're looking for another Sports Unsung Hero from Yorkshire and Lincolnshire this year to recognise and reward their hard work. They will also go forward, with other winners from across the UK, to compete for the overall award to be presented live at the BBC Sports Personality of the Year show 2010. It takes place on Sunday December 19th at the LG Arena near Birmingham and is live on BBC ONE. Last year's Sports Unsung Hero winner from BBC Yorkshire and Lincolnshire was Peter Shakesby, who coaches and fundraises for Hull Stingers wheelchair basketball club, as well as fundraising.